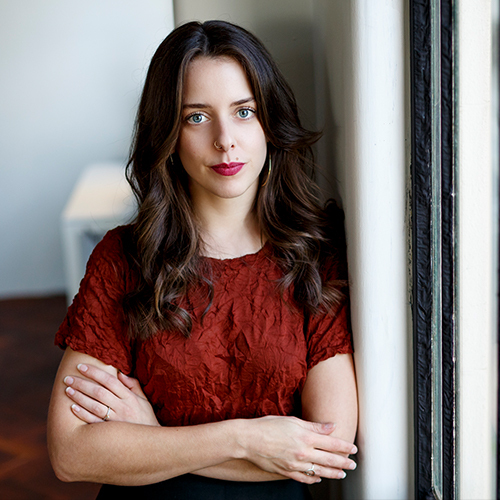 Founder and Director Georgia Malone has a Graduate Diploma in Management (Arts and Cultural Management) from the University of South Australia. She has been an active member of the Australian Arts Industry for 20 years, with a decade dedicated to strategic Marketing at some of Australia's most significant contemporary arts organisations (Perth Festival, Sydney Dance Company, Perth Theatre Company, Perth Institute of Contemporary Arts and Co3 Australia). Georgia’s pragmatic and lateral approach ensures successful campaigns, a positive experience for clients and an excellent standard for all projects. Georgia collaborates closely with boards, creative and development teams to define outcomes and strategy, a method that has consistently achieved key financial and organisational goals. Georgia has been a pivotal part of the management teams in significant national contemporary arts organisations (Sydney Dance Company, Perth Theatre Company, Perth Institute of Contemporary Arts and Co3 Australia). Georgia has cultivated an extremely strong professional network within the arts industry at all levels from independent artists through to CEOs of Major Performing Arts Companies, and also with key stakeholders including funding bodies, local government, corporations and suppliers on both the East and West coasts of Australia. Associate Rachel Audino has a Bachelor of Contemporary Arts at Edith Cowan University majoring in Visual Arts. She has steadily risen in the arts marketing industry in Perth working across multiple projects and companies and building a strong professional network in WA. Her professional resume includes positions at the Perth Institute of Contemporary Arts (PICA), Perth Writers Festival, Perth International Arts Festival, State Theatre Centre of WA, and Performing Lines WA, where she gained experience working with regional WA venues. Rachel Audino has a Bachelor of Contemporary Arts at Edith Cowan University majoring in Visual Arts. She has steadily risen in the arts marketing industry in Perth working across multiple projects and companies and building a strong professional network in WA. For three years, she held the position of Artist Liaison for the Perth Writers Festival and in 2015 was appointed as Social Media Assistant for The Giants by Royal de Luxe at the Perth International Arts Festival. Rachel has worked with a number of Western Australian arts and cultural organisations in various roles, including as Marketing Assistant for mouseprint at the State Theatre Centre of WA, and Marketing and Publicity Manager for Proximity Festival 2015 at the Art Gallery of Western Australia. She has also worked at Performing Lines WA and at the Perth Institute of Contemporary Arts (PICA) as Digital Marketing Coordinator before being promoted to Acting Communications Manager. Since starting at GM Consulting, Rachel has lead accounts with Brookfield Place, CircuitWest, Perth Children’s Hospital Foundation, State Library of WA and the State Buildings. Rachel’s ability to find creative solutions has brought her success in leading marketing campaigns, social media management, website development, team management and audience analysis and development. Rachel is currently on secondment with the Perth Festival until April 2019. Project Coordinator Gemma Robins is a regional arts and culture enthusiast. Graduating from Murdoch University in 2008 with a double degree in Journalism and Public Relations, Gemma jumped straight into the arts world, landing her first job at Perth Theatre Company. Fast forward a decade, Gemma has recently returned from a two-year stint in Japan where she lived and worked in a small regional town in the Hyogo prefecture. Prior to this Gemma worked at Country Arts WA, holding various operational and marketing positions, where she gained experience in managing the marketing and communication campaigns for all state and national touring programs, funding programs, and strategic projects, including successfully delivering the 2014 National Regional Arts Australia Summit & Festival in Kalgoorlie-Boulder. Gemma has been actively involved in the arts industry, working as a panellist for Propel Youth Arts WA’s Drug Aware YCulture Metro grant and the (former) WA Department of Culture and the Arts Young People and the Arts program, volunteering as Marketing Coordinator at the 2015 TEDxPerth event, and sitting on the National Youth Week KicksART Festival panel in 2014.
Business Manager Jayne Cleave has a Bachelor of Arts in Communications and a Masters in Information Technology. She has worked for high profile organisations around the world, including Penguin Books (London), State Library Victoria (Melbourne) and the Perth International Arts Festival. Jayne has extensive experience in marketing and project management and has worked with governments at both state and local level. She operates effectively within the bureaucratic systems of government departments and has thorough knowledge of best practice procedures for organisations of all sizes. Jayne’s experiences across various industries has given her a broad understanding of business challenges. Development Consultant Jo Malone has over 30 years’ experience in event management and organization, small business, writing, publishing and fundraising for special projects. These include over 1000 events for IIR (now Informa) over 15 years in Canberra and WA; Greening Australia; publishing in Australia (Viking Australia – Penguin Books) and internationally (Sterling Publishing, NY); administrator of the $15 million restoration fundraising campaign for St George’s Cathedral Perth; manager of the St George’s Cathedral Sculpture project – Ascalon; and is currently Development Manager at Perth Institute of Contemporary Arts since 2008, as well as consulting to GM Consulting Pty Ltd.
Jo has extensive experience in education working collaboratively with teams to establish the School Drug Education Project; and Growing and Developing Healthy Relationship (sexuality education) in all WA schools working with all 1200 schools across the state to publish materials and coordinate training for teachers and educators. Spanning all aspects of event management, and the art of developing strong relationships with donors and funders, Jo has a strong philanthropic and corporate network. Designer Maddy Blue has a Masters in Architectural Design and has five years experience as a graphic designer. She brings strong design aesthetics to her work, along with a creative flair and bold concepts. Maddy works part time for GM Consulting and is also a successful musician, regularly performing around Perth.